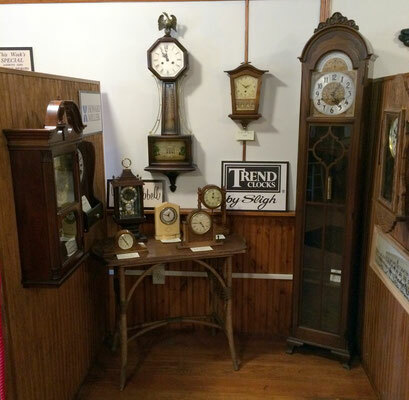 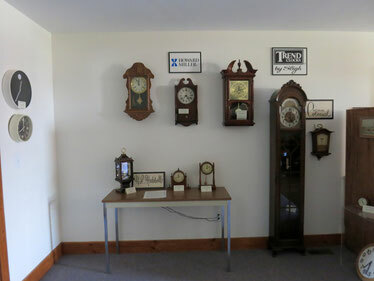 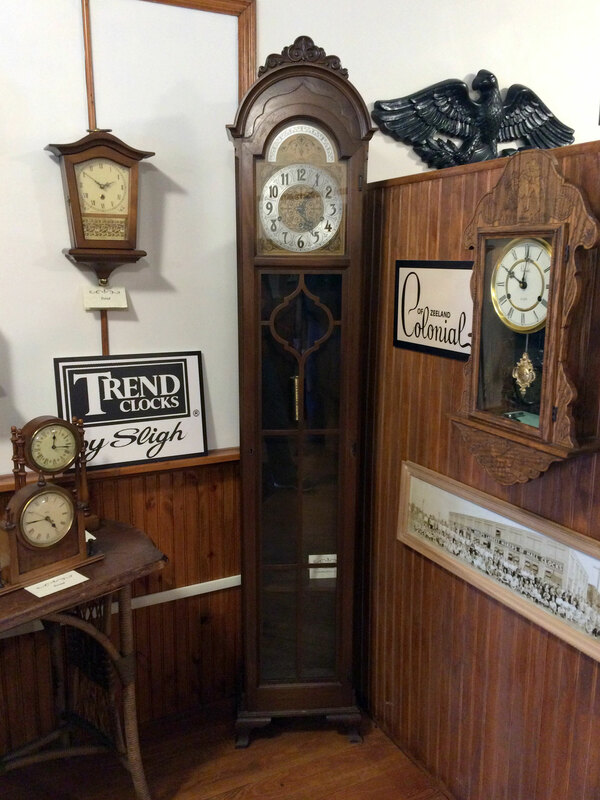 Our clock collection was located in the large area at the end of Main Street on the second floor of the museum. We needed space to install our new beauty parlor, so volunteers moved the clocks to where the barber shop was located. 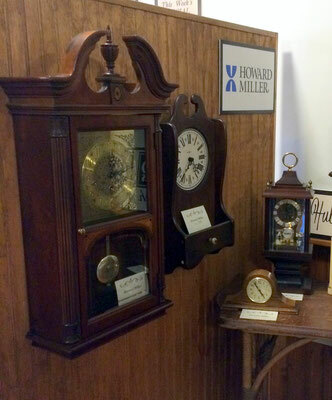 The "new" display features our newly-acquired Herman Miller wall clock, age unknown. 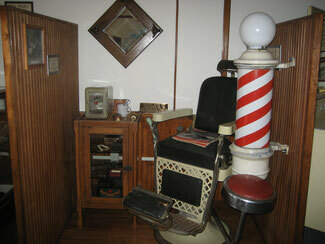 To view captions, click on the pictures. 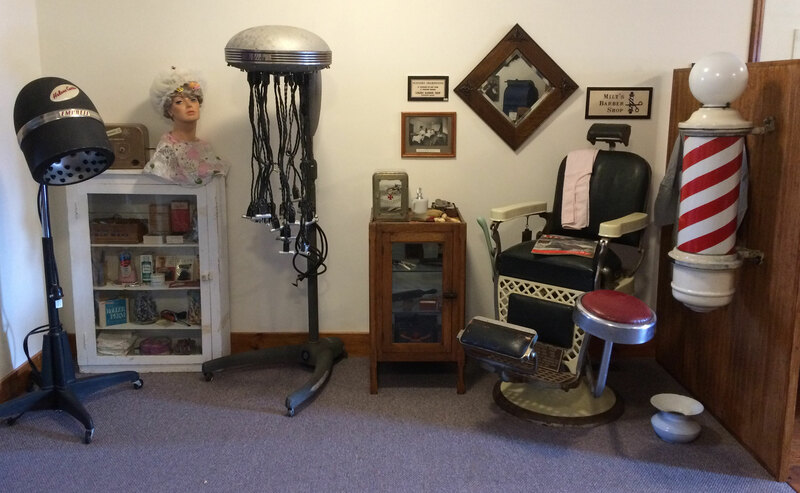 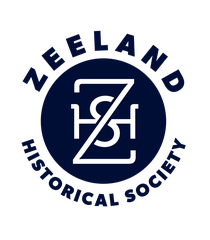 The Zeeland Historical Society recently received an extensive donation, which included a 1930s beauty parlor. 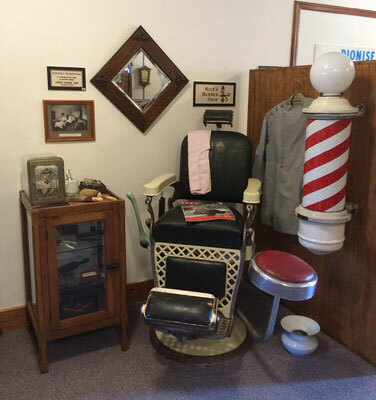 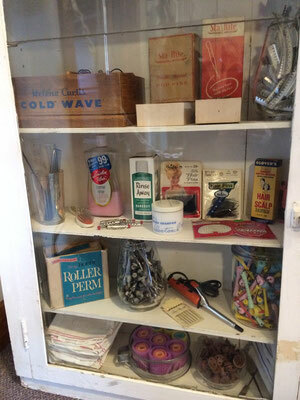 To make room for these treasures, we used the large space vacated by the clock collection to set up a barber shop and beauty parlor display. 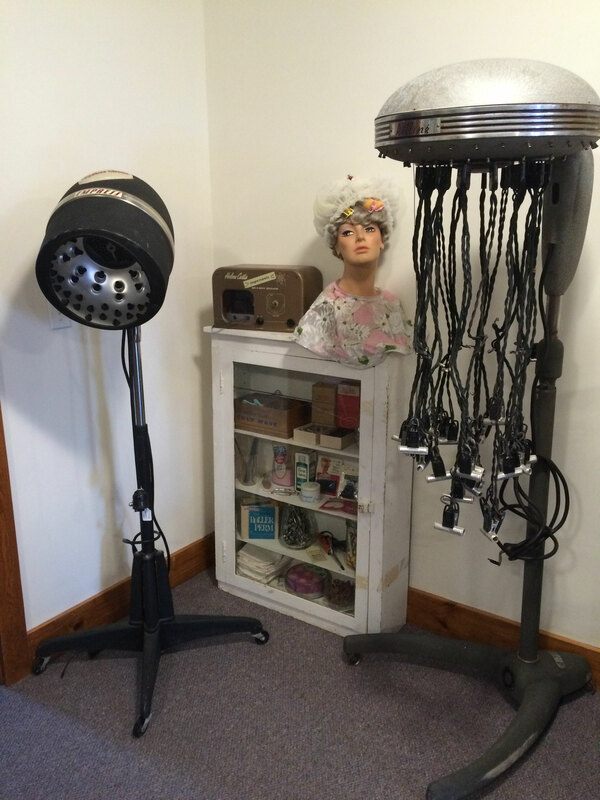 Click here to learn more about the 1930s Permanent Wave Machine.